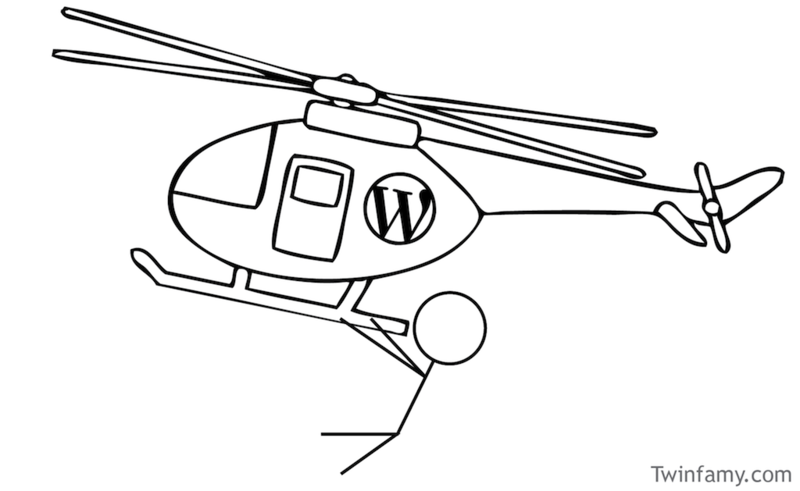 I was recently asked by the fantasmic people at WordPress to board a helicopter to their secret volcano lair and participate in a roundtable discussion with other blogging parents regarding our expertise on the subject, an endeavor for which I was well prepared, as I also happen to be an expert on my own expertise. We had some laughs, some scrumdiddlyumptious WordPress-logo-shaped bacon-wrapped scallops, and an excellent conversation about the labor of love that is family-flavored blogging. This historic meeting has resulted in a series of WordPress “Daily Posts,” the first of which is titled Mommy and Daddy Bloggers Shoot the Poop: Part One, and is now available here for your reading pleasure. Thanks to Michelle W. and WordPress for inviting me to their volcano to participate, and to my fellow roundtablers not only for their thoughtful responses, but also for not getting mad at me for eating all of the scallops. I had low blood sugar, I swear. If not, no helicopter ride for you. Sign me up for the Volcano expedition when it’s rescheduled! Crap. I hope nobody saw me go back for more with that strawberry. It was just such a big strawberry, you know? Brilliant post – love your humor (and anything wrapped in bacon.) I’d like to nominate you for The Versatile Blogger Award! You can find the details here at http://wp.me/p3swsV-61 … congratulations! i also have two girl twin but they are older than yours.